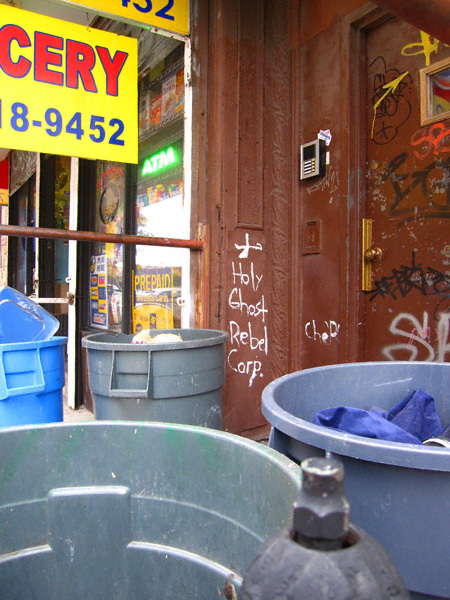 I’m not too sure what kind of merchandise/services the “Holy Ghost Rebel Corporation” offers but I’m happy to see they recycle! A LOT. Probably a spin-off of a father and son rebel business.